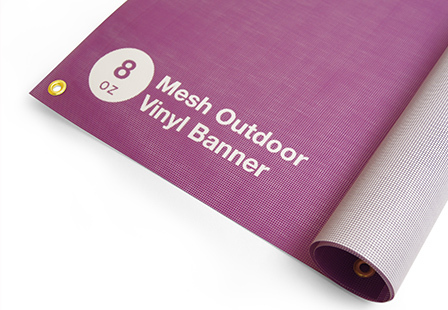 Create an attractive custom lightweight 8oz mesh vinyl banner that will stand up to the outdoor elements. Our mesh vinyl banners have small interwoven fibers allowing 37% air-flow through that helps withstand high wind conditions. The interwoven fibers make this outdoor vinyl banner ideal for promoting a business, event or product on buildings, stadiums or as fence wraps. Choose from a large selection of sizes and options for your needs. 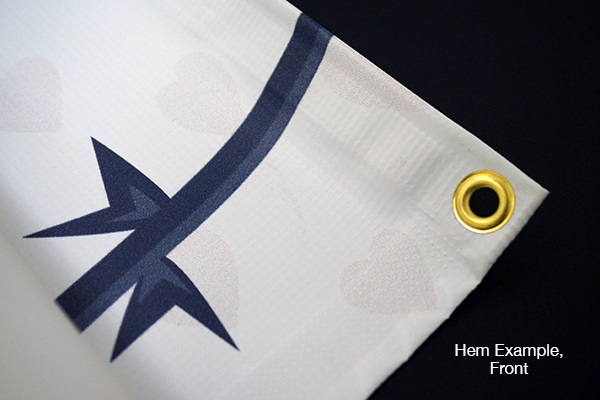 You’ll have the opportunity to include hems and grommets for easy hanging. The grommets can be added either every 2 feet or at the corners only. Our outdoor vinyl banners are great for retail promotions, party decorations, store advertisements and more. The possibilities are endless. Are you searching for an indoor banner? Check out our 10mil premium Matte indoor vinyl banners. 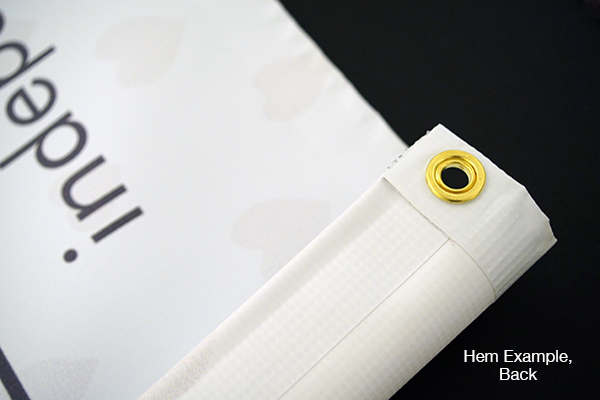 Matte banners are made of sturdy Polypropylene. Material: Our 8oz lightweight mesh banner material allows for 37% air-flow, making it ideal for windy, outdoor environments. File Setup: Your artwork should be the exact size of the banner that you are ordering. No bleed or crop marks. Vector files are preferred, raster files should be full scale at 300DPI. We suggest you keep any important text / artwork 2 inches inward from the edge of your artwork as to avoid any elements being cut off / hemmed over.